The kiddos will match the air travel figures with pictures. This toob has been in our learning time room for a few weeks now. Dinomite and Bulldozer haven't been able to keep their hands off of it, asking to play with the figures at least three times a week. I'm loving their enthusiasm and excitement! 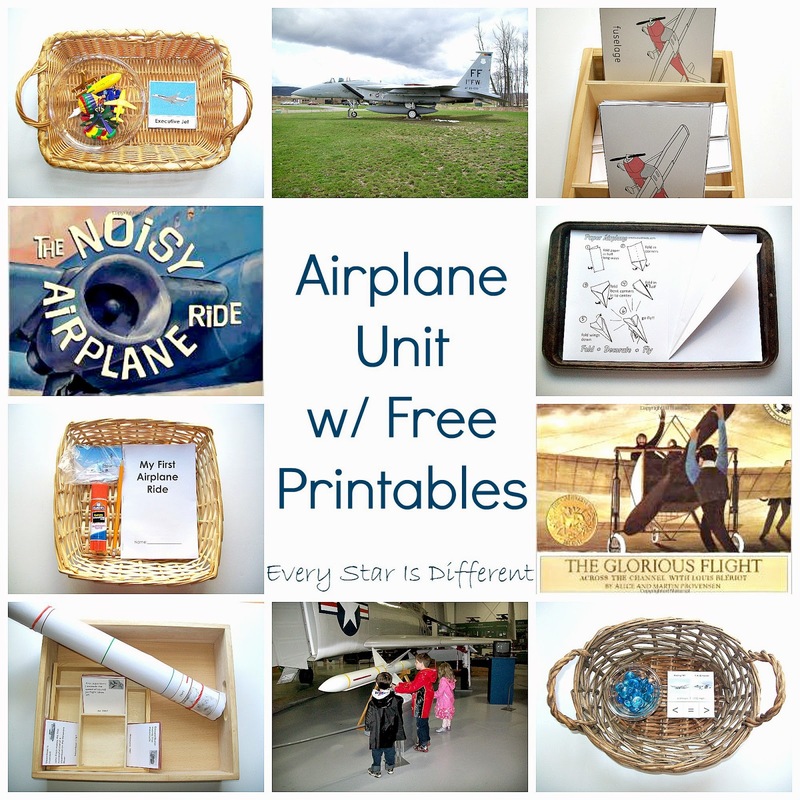 Source: I created the printable for this activity as part of my Airplane Unit Printable Pack 1. For your free copy, click on the link at the bottom of this post. It's always fun to discover just how fast an airplane travels through the sky. 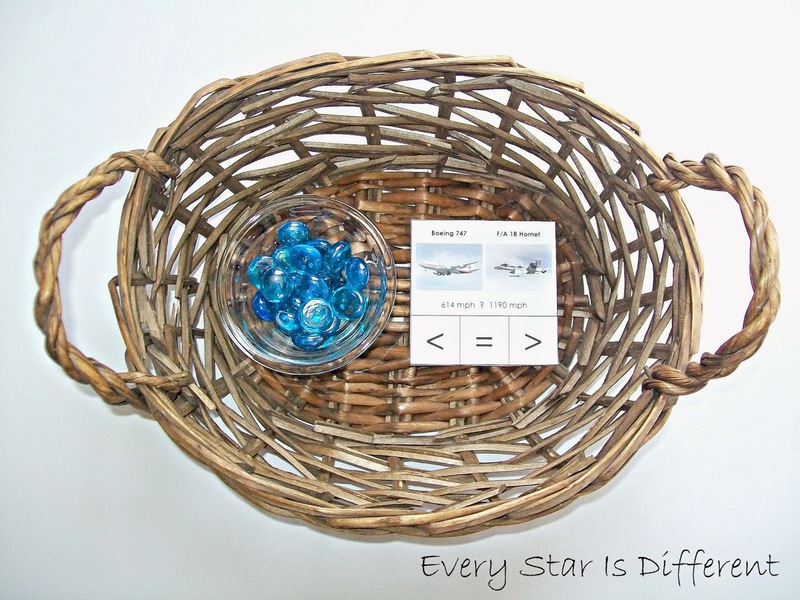 In this activity the kiddos will compare mph speeds of several different airplanes. They will use the glass beads to mark their answers on each card. 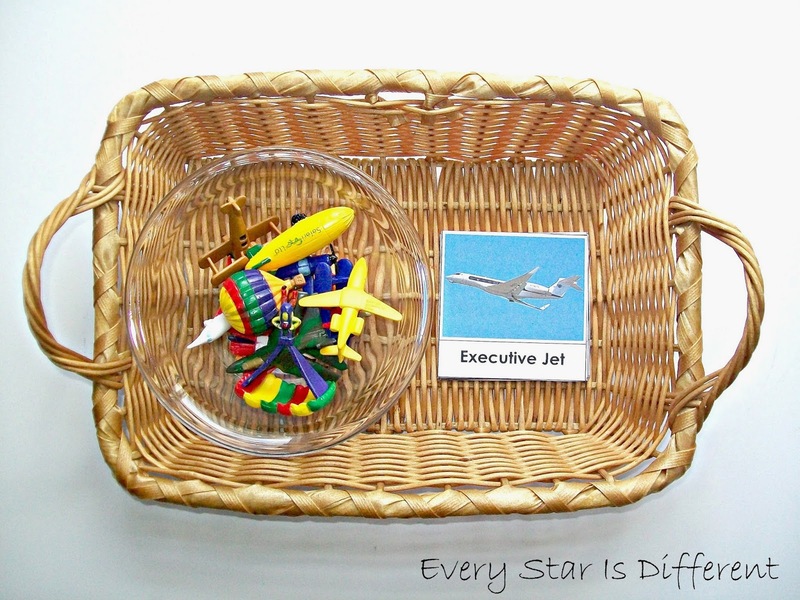 Source: Jason and I created the printable for this activity as part of my Airplane Unit Printable Pack 1. For your free copy, click on the link at the bottom of this post. 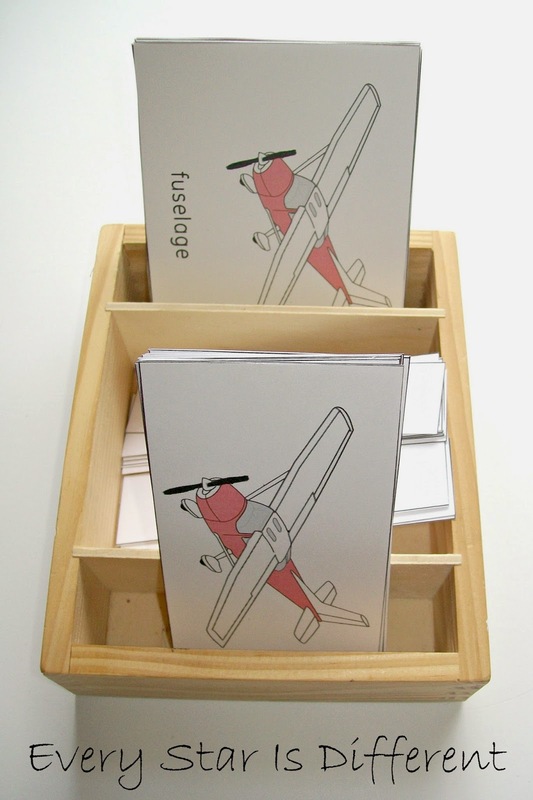 The kiddos should have a blast learning about all of the different parts of an airplane with these nomenclature cards. There's just so much to learn! Source: These cards are available for free from The Pinay Homeschooler. The Montessori Elementary curriculum emphasizes time in a many of the lessons etc. Time lines are very much a part of presentation, instruction, and exploration. This aspect of the curriculum has seemed quite overwhelming to me as I try to prepare for next year. I thought our theme for the week would provide a great trial run to see how the kiddos respond to time lines and if I'm able to make them. Lol. I'm very pleased with how this time line turned out. It's divided into three parts: air, land, and water transportation. Picture cards are glued to the time line, which is separated by decades and includes time from 1500 A.D. to 2000 A.D. I had wanted to include more time, but my living room is only so big. This week we'll only be focusing on air travel, but in weeks to come we'll refer back to the time line to discuss land and water travel. 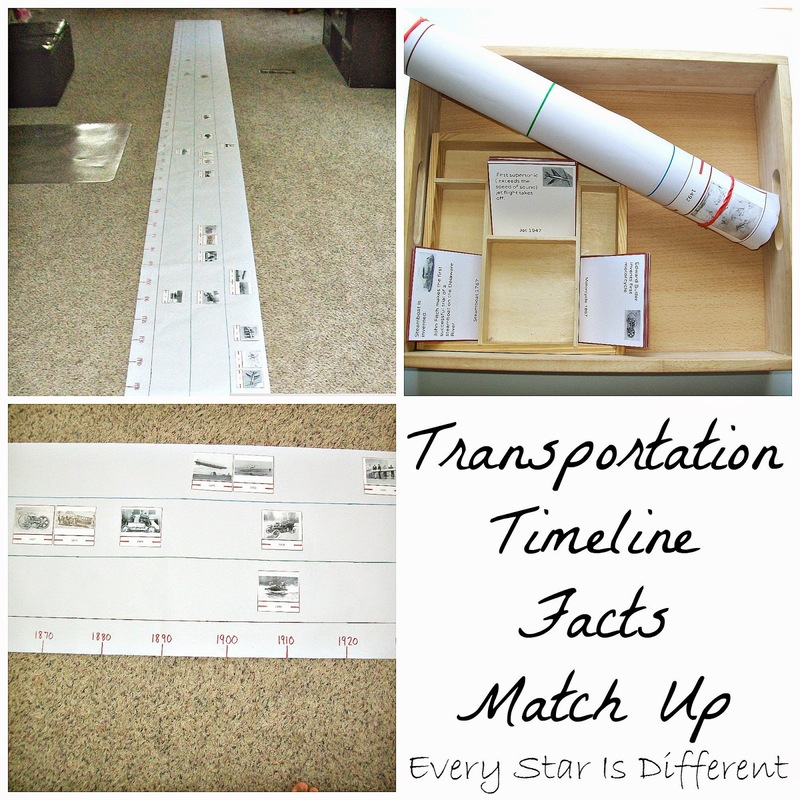 The kiddos will match up explanation cards to picture cards on the timeline. The explanation cards have a small picture on them that is the control. Source: This printable is part of the Transportation Unit Montessori Printable Activities from Montessori Nature. 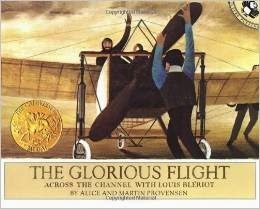 Keeping with our theme of the history of flight, this book will be on our shelves for the kiddos to read and enjoy! It's a fabulous book. I highly recommend it! 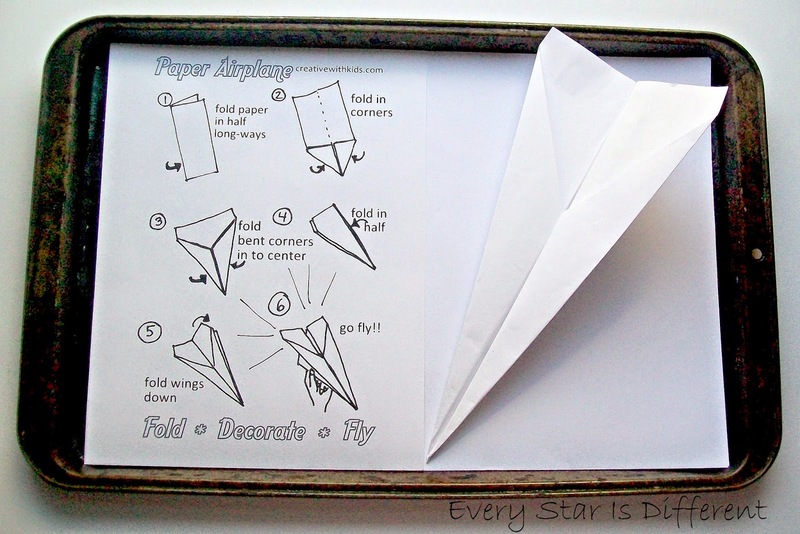 An airplane unit wouldn't be complete without making a paper airplane. The kiddos will follow the directions to make their own. I'm guessing it will be more challenging than they think. Hopefully by the end of the week they'll be pros! Source: The printable for this activity is available for free at Creative with Kids. The kiddos will read each page of the book (with assistance if needed), and find the picture that matches each page, gluing it above the text. Pictures are numbered to match page numbers as a control. When finished, the kiddos will be able to explain what will happen on our first flight and all flights afterward. I will be keeping a copy of the book to take along with us on our trip, just in case the kiddos forget what we've read about and become anxious. To further continue our lesson about riding an airplane, we'll be watching Delta's In-flight Safety Video. Though we are not flying this airline, the video is quite similar to any live or video presentations you may see on a flight. The kiddos have watched the video once already. It has brought up A LOT of questions. I'm so glad we're taking the time to answer all of them now. For some of the kiddos, it had never occurred to them that an emergency could occur on a flight. When Bulldozer saw the air masks in the video, he thought we'd have to wear them the entire time we were on the flight. It's the little things that make the biggest difference when preparing for something like this. I can't imagine what the kiddos would have been like if they'd heard these instructions for the first time on the flight. Source: I created this printable. For your free copy of the My First Airplane Ride Story, click on the link at the bottom of this post. 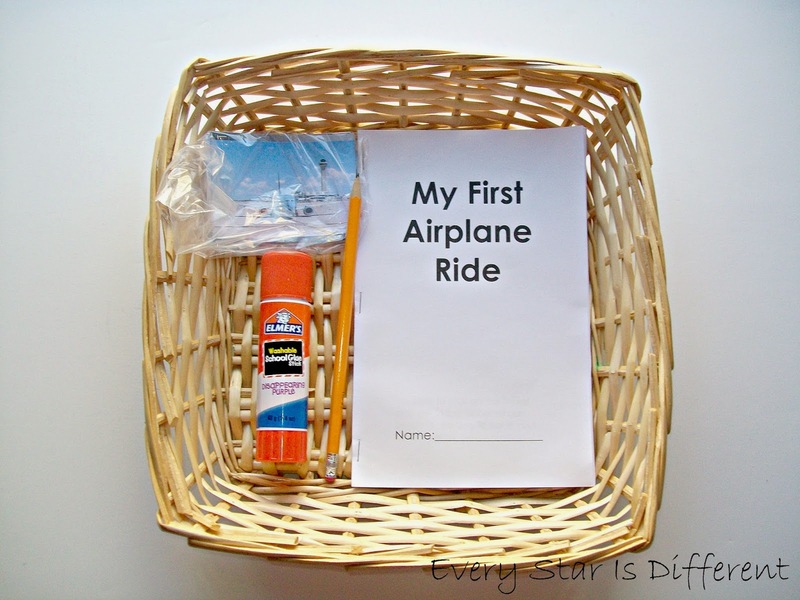 There are a lot of sensory lessons that go along with one's first airplane ride. This is the perfect book to prepare kiddos for all of the noises they may hear. I was able to read this book with each kiddo individually first, and then we've read it together. Each kiddo had different questions and comments. I'm sure we'll read it many times before we leave on our trip. 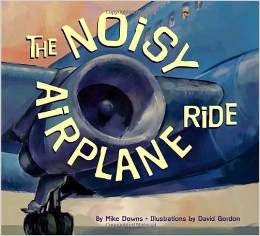 I plan to purchase my own copy for our flight so the kiddos can refer to it when they hear different noises. Last in this post, but first in our airplane adventures and studies, was a trip to the airplane museum! The kiddos thoroughly enjoyed the experience (with a few behavior exceptions). Jason and I would have loved to stay longer reading the beautiful time line with pictures and models that covered the entire back wall of the museum. It was pretty amazing. Perhaps when the kiddos are older. 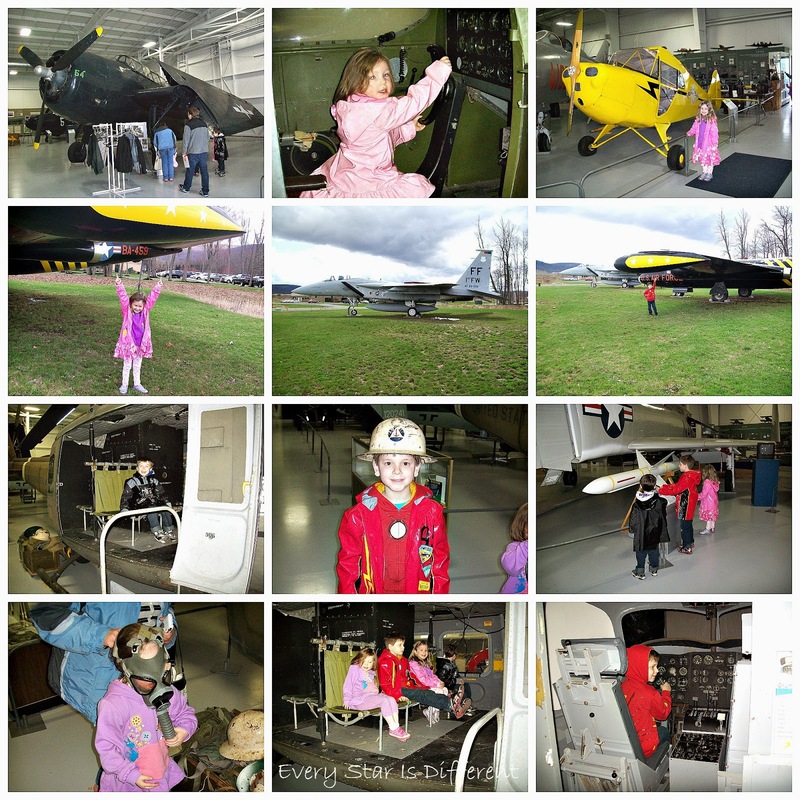 While we were there the kiddos were able to look at several airplanes and get some pretty cool hands on experience. After the trip to the museum we headed to a restaurant to eat. It just so happened that the restaurant was right across the street from the local airport runway. Twice during our meal, an airplane flew right over our heads. We were able to watch it land from where we were sitting. It was a pretty neat experience! Stay tuned for our airport unit coming soon! If you're interested in some of the materials and books used in this unit, click on the links below! Oh my boys would love that parts of an aeroplane one! Thank you for making ALL of your units and printable a! You are an inspiration!